What is the law on supporting a pupil’s medical conditions at school? The Department for Education issues statutory guidance about the support that pupils with medical conditions should receive at school. This framework highlights that a child’s medical conditions in a learning environment must be fully supported so that the pupil can be happy, healthy and fully integrated in the school environment in order to reach their academic potential. Schools also have specific duties that they must abide by for disabled children. 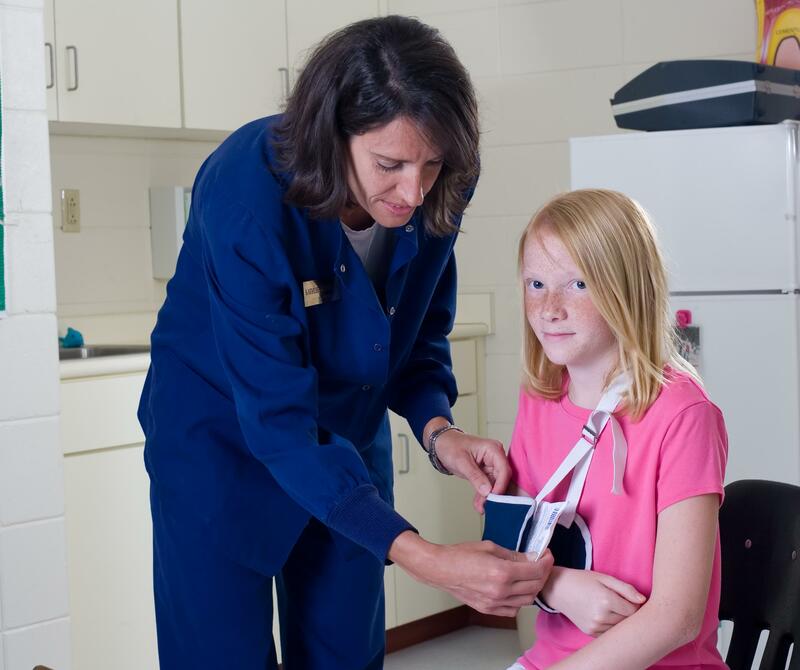 What should a school’s medical support policy contain? It is expected that schools have their own policies for supporting pupils with medical conditions and that these policies can be viewed by school staff and parents. Does a pupil need to have a recognisable medical condition in order to receive support? No, schools do not have to wait for formal diagnosis from a doctor before supporting the pupil. The head teacher can make a judgement, taking into account medical opinion and the parents’ and child’s views. How can a pupil’s needs be supported during school trips and sporting activities? Schools have to include all children in all activities, whatever their medical condition. This includes school trips and sporting activities, unless medical evidence advises otherwise. Teachers must carry out a risk assessment to see how medical conditions might impact a trip or activity and then plan how best to support the pupil along with the child, their parents and a health care professional if needed. School staff trained in first-aid can wear badges and lanyards on the school trip so that they can be quickly recognised in an emergency. What happens if a pupil is absent from school due to their medical condition? It would be unacceptable for a school to penalise a pupil if they were absent from school due to medical condition. Parents must get permission in advance from the school for authorised absences for medical appointments. If the absence is for more than 15 days, the Local Authority must make sure that the child receives as normal education as possible, from the first day the school is informed of a long absence. Provision includes home teaching or a hospital teaching service and must be full-time, unless otherwise advised by health care professionals. What if a child must take prescription medication during the school day? Medicine can only be taken in school if it would impact the child’s health. The medicine must be labelled with clear instructions on how to administer and store it. A written record of all medicines administered is vital. The medicines can be kept in a cabinet under lock and key, but the pupil must know who holds the key. Training must be given to any staff member that administers the medicine. If the pupil refuses medication then the school can’t force them and the parents must be immediately informed. Teachers are not expected to administer medicine unless they are specially trained. Administering medicine is the responsibility of the school nurse, who supports all pupils in the school with medical conditions. The school nurse also makes sure that all staff that need to be trained to look after the child are fully competent. When might an individual healthcare plan be appropriate? There are some individual healthcare plans templates that the government supply to use as a guide.